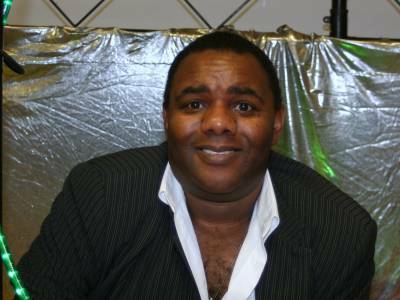 Disco Entertainments with Mike Connell could be right choice for your next function, whether you're celebrating a wedding reception, birthday party, corporate event, school prom, or if your just looking for the excuse to have some fun. 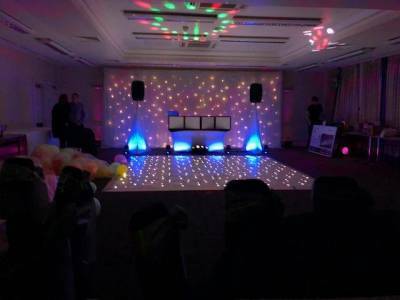 As you may see from our photos our mobile disco offers the flexibility of a small or large setup which becomes an attractive, professional quality sound and light show. There is also, of course, our very experienced and accomplished DJ Mike Connell, whose sole aim is to make your event, the memorable occasion of the year. As a fantastic addition to our already great services, we are now supplying sparkle dance floors, magic mirror photo's, room up-lighters, cake highlighting spotlights, and giant LOVE Letters that help create an even better atmosphere for your event. The great thing is these additional extra items for your party won't cost the the earth and help you to receive the plaudits for creating "the event of the year". If your planning any large event such as a wedding, corporate event or school prom, these additional service will help. Our company takes the role of mobile disco very seriously. We work very closely with you to understand your needs, helping you accomplish your aim of a great event. We work closely with you on musical choices, the level of interaction with your guests, details and itinerary of the day. Required by many venues, DJ Entertainments with Mike Connell has a current PLI policy with AMP DJ in the amount of £10 million. Also required by many venues, DJ Entertainments with Mike Connell has supplied satisfactory evidence of holding current PAT inspections of their equipment dated within the last 12 months. A Method Statement, outlining DJ Entertainments with Mike Connell&apos;s Health & Safety procedure for setting up disco equipment has not been supplied. 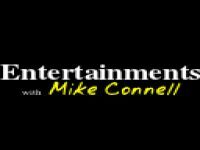 Why do people choose to book DJ Entertainments with Mike Connell? "A fantastic service was supplied . Couldnt have asked for anything more . Really got the party going and maintained it to the end . Highly recommend this guy and would deffinently use hies brilliant sevices again ." "I absolutely enjoyed every minute of this night thank you .... when you have a great crowd in this game everything is so easy "
"Fantastic DJ. Reasonable prices. 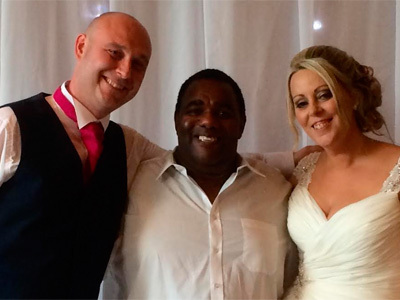 Could not fault anything we had a fantastic party which DJ Mike helped to make even better! Thanks again Mike. Stacy & Paul Workman." "Thank you so much I enjoyed and had such a wonderful party, but it was you and your guests that made it a special day Thank you from Mike and Shaun Entertainments with Mike Connell"
"Everyone had a great night the dj was really funny and ive been asked by a few people to pass on his details will deffo use him again Thanks mike "
"Mike provided an outstanding service. Very professional and prompt. He made our Gala night go with a swing!" "We loved Mike! He was better than we were expecting. We had a brilliant night. 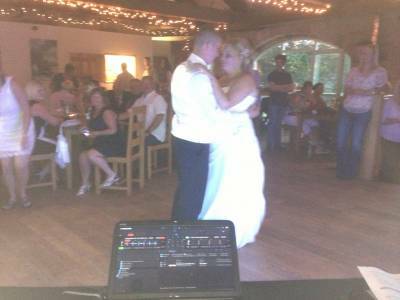 Thanks"
"I could not have wished for a better DJ, he was almost like one of the family and interacted well with everybody and kept the dance floor well occupied." "Mike didn't turn up for our event and supplied a stand in DJ who unfortunately wasn't able to keep the crowd entertained for more than a few seconds, music quality was rather poor and most of the songs jerked or were either cut short. As lovely as the dj that stood in for Mike was, he wasn't someone we would have chosen and were annoyed that we weren't given an option by Mike. Emails were sent 2 weeks before with no reply and no word from Mike himself to tell us that he wouldn't be attending. We had a large requested list of songs which were all played at the wrong times." "I am very apologetic about this incident,unfortunately a family member had a serious car accident in the early hours of the same day, When the family discovered about the accident it it was to late for me to cancel so i used a DJ who I have used before in good faith and know very well to cover for me during a difficult time"
"Mike was a great DJ, very professional and would recommend him to others ." "Mike was professional in his approach and knew exactly what music to play to keep the party goind. Thanks so much Mike - well recommended"
"This party was a delight to attend with a fantastic family that help the occation by getting involved great night great people"
DJ Entertainments with Mike Connell also offers a range of additional party services not directly linked to musical entertainment. If you are contacting DJ Entertainments with Mike Connell about an event, it's always a good idea to include the DATE, LOCATION, EVENT TYPE, AGE GROUP and TIMINGS to speed things up!